Join me for a live, free webinar on micro business ideas for teenagers. 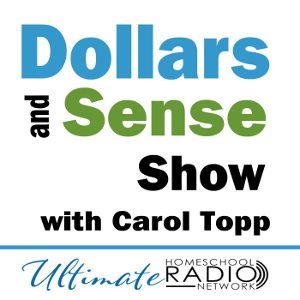 Host Andrew Pudewa and I will discuss at least 30 micro business ideas for teenagers. Many businesses can be started this week, so your teenager will be earning money this summer. Presenter Carol Topp, CPA has encouraged hundreds of teenagers to start their own micro business. She’ll share with you at least 30 viable business ideas that a teenager (or parent) can launch this week. Plus information on how to get started, pitfalls to avoid and tips for success.Join Andrew Pudewa and Carol Topp as they share some salient points on this important topic and answers your questions on writing, thinking, and speaking. Register now to receive an email with instruction on how to join the webinar.